“Something that is hard to define with words. Our activities: Relaxing, having fun, community building, protecting our values! Passing on to the future generation in full the eternal message of Hungarian folk culture. 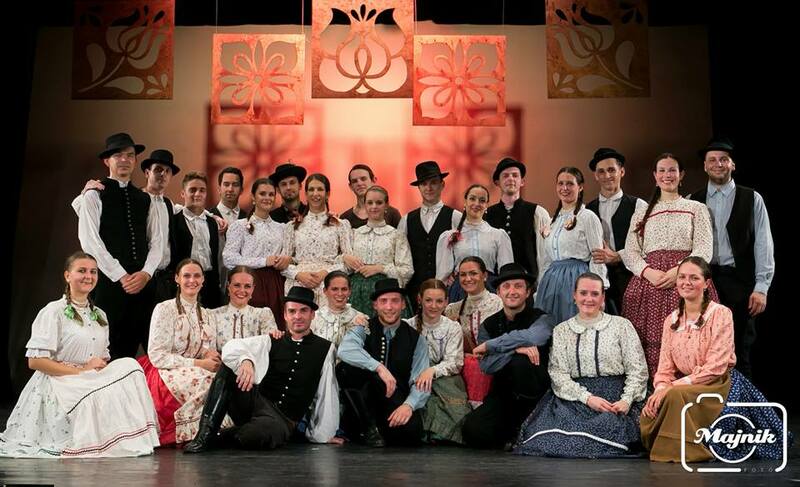 The student organization of Corvinus University of Budapest, running as Corvinus Közgáz Folkdance Ensemble, was founded in 1948 and operates within the University. Members: university students, young intellectuals. Most of us are not from Budapest, we come from different parts of the country, from different bands. We are regular participants at international and national professional festivals, various university and corporate events. In recent years we represented the country in Barcelona, Verona and Stockholm. We participated many times at the Spring Festival and Sziget Festival, what’s more we are permanent guests at the concerts of the world-famous Muzsikás Ensemble. In our professional work we put great emphasis on direct knowledge and experience. Aside from the rehearsals, we always try to organise camps and collector trips to accumulate more knowledge about rural dances. Our programs are always looking for forms of expression that can make folk culture more exciting and interesting for those living in the 21st century. – 2015. XXIII.Szolnok National Folk Festival, Ensemble Award for Excellence II. – 2016. XXVII. Zala Dance Festival, Authentic folk dance category Choreographer Award for Excellence, Grade 1. – 2017.XXVI.Szolnok National Folk Festival, Ensemble Award for Excellence III.